Two men have been arrested attempting to smuggle narcotics into Fuvahmulah City. Maldives Police Service identified the two suspects as one 26-year-old male and one 41-year-old man. They were arrested from a boat which travelled to Fuvahmulah City from Male’ City, based on intel received by the MPS. 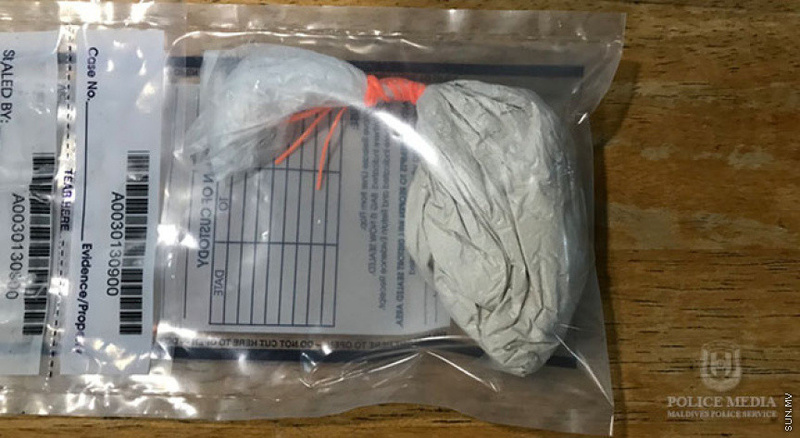 MPS said officers discovered a plastic packet containing a substance believed to be narcotics during their search of the boat. Fuvahmulah Magistrate Court has ordered the two suspects to 15 days in jail. The case is under investigation by MPS.